Tina was certified as a RYT200-hour yoga teacher in 2012 at Yoga to the People in San Francisco/Berkeley, California. Her movement practice draws on her extensive background dancing professionally in the Washington Ballet Studio Company, and later at Stanford University and in the Bay Area in modern dance, AfroCuban/Haitian, and environmental dancing. Having also studied Zen Buddhism and seated meditation in the Bay Area and northern NJ the past 7 years, her yoga classes include mindful attention to breath, balance and focus. With an aim to continue choreographing and eventually study dance and yoga therapies, Tina's classes are meant to be an open space and compassionate laboratory for the practice's ancient mind/body healing, energetic exercise, and restorative contemplation. In 2013, Tina started teaching chair yoga at Community Access's EVA housing in Manhattan's Lower East Side. 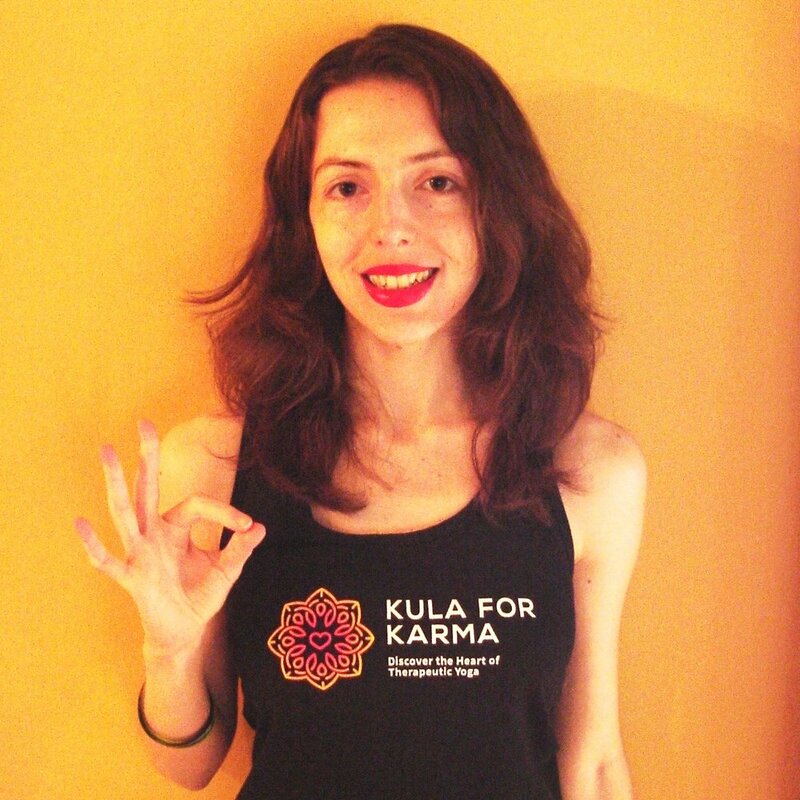 She joined the Kula for Karma teaching community in 2014, and has taught chair yoga at Care Plus in Paramus and at the women's Integrity House in Newark, NJ. As a survivor of eating disorders, drug addiction and schizo-affective depression, Tina is tremendously grateful to share the healing properties, resilience and peace she has nurtured in her committed yoga practice. Fact: Though Tina always loves lotuses, she also thinks of roses and poppy flowers as spiritual symbols.